Are the Gophers and Rutgers really headed for an 0-14 showdown? A few weeks ago, Gophers fans started peering ahead — part gallows humor, part curiosity — at the future schedule. Some are circling Feb. 23. A few weeks ago, Gophers fans started peering ahead — part gallows humor, part curiosity — at the future schedule. They knew that the Gophers men’s basketball team was winless in the Big Ten. They could also see there was another winless team, Rutgers, out there on the scheduled horizon. Maybe at the time both teams were, say, 0-5. They were going to play each other twice, but the first time wouldn’t be until the 15th game. As bad as both teams looked early on, trying to project that they would both be 0-14 by the time the faced each other Feb. 23 at Williams Arena seemed more like wishful thinking for those who like sports train wrecks than something grounded in reality. But here we are on Feb. 5. The Gophers are 0-11 after getting waxed (again) by Northwestern. 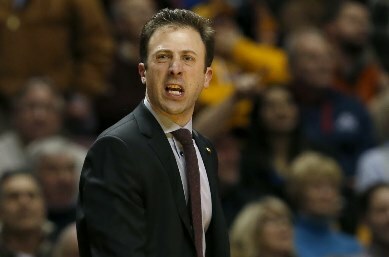 Head coach Richard Pitino, who said in advance of the rematch between those teams that he did a “horrible job” preparing the Gophers for their earlier 25-point loss to the Wildcats at Williams Arena, did at least improve on that effort Thursday. The Gophers lost by only 24. Rutgers, meanwhile, gave up 110 points in its most recent loss to Illinois. Rutgers is 0-10. In the RPI standings, which don’t yet include last night’s Gophers loss, Minnesota is No. 221. Rutgers is 231. More importantly, RealTimeRPI projects the Gophers to lose their next three games — home games against Michigan and Maryland plus a road game at Iowa — before that Rutgers game at Williams Arena. As for Rutgers, they are projected to lose three more before defeating Penn State at home right before the Minnesota game. But if you have faith, you believe that Rutgers will run the table of losses, too, leading into that Gophers game. In fact, KenPom projects that to happen (subscription required). Both sites think the Gophers will win that Feb. 23 showdown. With each loss, we get closer to the reality that the game will, in fact, be a matchup of winless teams. The only certainty? When the rematch happens in the Big Ten finale, one of these teams will have a victory going in. RandBall: Is Kevin Garnett the MVP of this year's Timberwolves?